Years ago I had the opportunity to go to a program by Stedman Graham. He talked about not allowing people to put you in a box and ways to break free from that box. It made me think about my life and the “boxes” I have been put in either by others or by myself. The biggest box in my life was what I will refer to as the “Spirited” box. “Spirited” meant fun, friendly but not so bright. My sister is very smart and growing up always got wonderful grades. I, on the other hand, struggled through school and 99% of the time got the note from the teacher on my report card that said, “Sue is very spirited, however; she spends much of her time socializing and not focusing on her studies”. This “socialization” skill has served me well later in life, however, not so much early on. Later in life I found out that I have ADHD and now with the help of medication can be both focused and “spirited”(when I was younger, they did not diagnose you unless you had major behavior problems). Anyway, that “spirited” box was a struggle for me because people, myself included, did not take me very seriously. I was seen as flighty and spastic because of my (often loud) outgoing personality and lack of focus. This “box” rendered me eternally 12 years old (see Eternally 12) to most of my family and hindered me from being strong in some of the decisions I had to make when caring for my grandfather. (Even though I have been empowering family caregivers for over 25 years and knew what I was talking about). I remember when I was writing Along Comes Grandpa, I would regularly tell myself that “I was crazy thinking I could write a book” and more often that I was not “smart enough” to write a book. I was very hard on myself. Fortunately, I had something inside me that would not let me stop moving forward in-spite of my disbelief. My “box” often got in the way of believing in myself and was what I had to break out of in order to finish both my first book “Along Comes Grandpa” as well as my novel “If I Walked in Her Shoes“. By changing my perspective, along with a lot of positive self-talk and support from great people in my life, I have been able to break out of the box I had kept myself in for most of my life. I have confidence in myself and have learned to embrace the “Spirited” part of me as a blessing. What is the perception that you try to break free from? Who are the people in your life who encourage you, build you up, and pull you out of your box? Surround yourself with people who will build you up. Ask them to be “on call” for you when you need a boost or encouragement. Most importantly believe that you have something to offer to those around you. 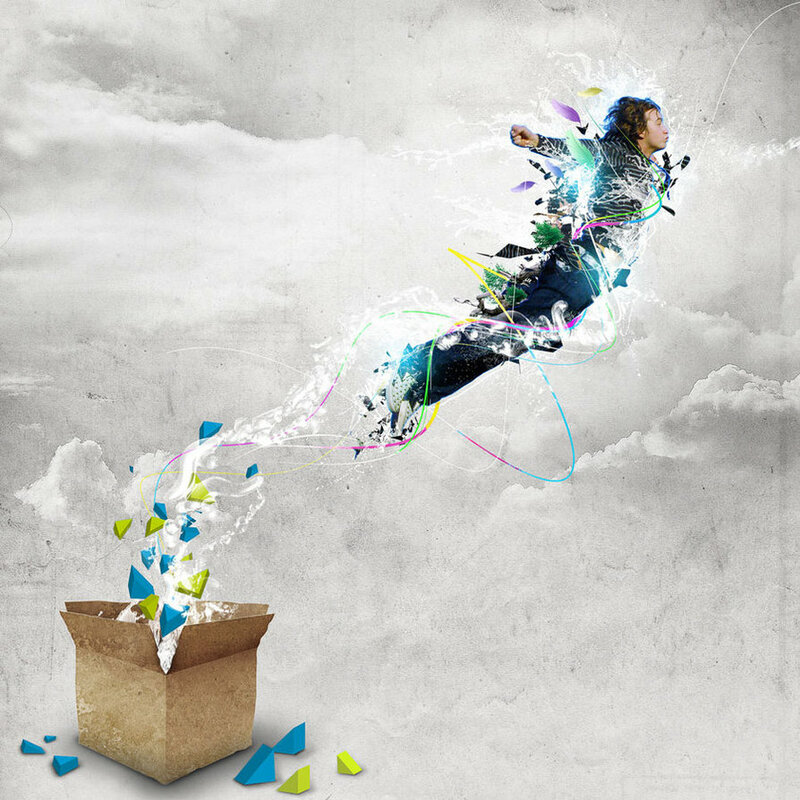 Breaking out of your box can truly change your life – it did mine! This entry was posted in aging, boomers, caregiving, encouragement and tagged ADHD, aging, Along Comes Grandpa, attention deficit disorder, boomers, breaking free, caregiver, caregiver support, caregiving, changing perspective, eldercare, encouragement, If I Walked in Her Shoes, self reflection, self-care, Stedman Graham, support, taking care of yourself, work/life/flex. Bookmark the permalink.